The majority of landlords provide good quality accommodation and the majority of private sector tenants are satisfied with their property. These statements appear to be the perceived state of the private rented sector in 2015. Is this really true? Or is it a comfortable statement that policy makers make to allow the status quo to continue? In truth, it probably reflects the conditions within elements of the private rented market, such as student accommodation and city centre living, but does not reflect the growth of the sector in the low market areas of our cities. It is here that major cities and boroughs have seen the growth in the sector over the last ten years. It is here that the poorest in society and those with the greatest needs are increasing being housed due to the reduction in available social housing. It is in these areas we need real action. The recent Panorama programme was not sensationalist: yes there may have been the odd extreme case, but those of us involved in the sector felt the programme resonated with issues in our city or borough. So what should we do? We need a policy focus on the low market areas that enables local authorities to properly tackle standards of accommodation. We need the landlord associations to work with us to increase standards. We need the courts to pass punitive fines on those we prosecute. We need to ask landlords “would you live in this home?”. A kind of ‘your home’ test, if you like. We need to find a way to implement self-regulation with accredited landlords thereby releasing valuable resources to tackle standards in the low rental market areas. There should be a link between housing benefit and property conditions. There needs to be a review of the impact of local housing allowance levels on housing benefit payments. It is unlikely that there will be a national policy shift so we need to find ways of tackling some these issues locally. This will require collaboration and a shared vision. The benefits could be huge for residents: for example in Leeds we have experienced and excellent officers whose focus is on statutory licensing of houses in multiple occupation. These are almost exclusively student accommodations which in the main offer good standards. If those staff were released to tackle the worst areas via a self-regulation scheme, it could make a real difference elsewhere in the city. We have started the conversation in Leeds and there is a will to make a difference, but there is a long way to go. 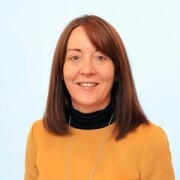 Liz is Chief Officer Housing Management at Leeds City Council, as well as being an NHC Board member.